Brick-built building, formerly part of a small isolation hospital with an unsatisfactory prefabricated hut – used for dormitory and messing purposes – as it took up all the space on the drill yard. It would be approved by the erection of another floor at the rear of the station. A brick built training tower was erected. 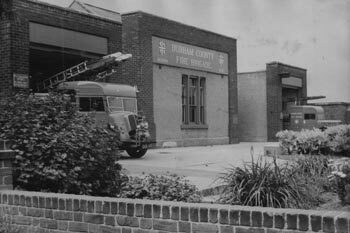 A bay appliance garage and training tower was constructed on the same site as previous station.